To put it as gently as possible: if you neglect social media marketing, you may as well drop advertising altogether. Simply put, you cannot afford to neglect your social media marketing campaign. Getting a commercial played during the Superbowl is not success. Getting people to buy from you because of that Superbowl commercial is success. Likes, like views, are not a measure of success on their own, they are simply a means of achieving success. Metrics matter, but in much more nuanced way than simply getting attention. Marketing is not about getting attention; marketing is about getting the right kind of attention. If you’re trying to sell shoes, you can create a funny post that gets a lot of likes and shares, but if it doesn’t sell a single pair, what good is it? Creating content that spreads is secondary to creating content that sells. Social media marketing for brands involves developing your brand’s personality online, creating a corporate persona that appeals to your key demographics. “Buy from us” won’t sway anyone. “Check us out” might appeal to younger prospects, though. It’s not always about what’s said, but how it’s said. Many aspects of brand identity are easier to develop as you go, but it’s a good idea to have an idea of what direction you’re moving in before you set down a single word. If you’re worried that your brand might not be a great fit for social media, here’s something to consider: there are roughly as many people on Facebook as there are people in China, weighing in at around 1.35 billion. Your key audience is definitely hip to social media. If you think that your brand may be too small to capitalize on social media marketing opportunities, you couldn’t be more wrong. Not only can a social media marketing campaign help you to expand your customer base and keep your current customers returning, it will also provide a useful foundation from which to market as you grow. The people who were with you from the start will have a connection to your brand that will pay dividends. Now that we’ve discussed the broader aspects of strategy and planning a social media marketing campaign, it’s time to dig into some of the real nuts and bolts, the mechanical and interpersonal aspects of running a successful strategy across social media. Don’t market at your prospects. Social media is just that: social media. There is expected to be a social aspect to your content. Lay’s potato chips allow people to submit and vote on their own flavors. Other brands present their readers with pop quizzes, trivia contests and things of that nature. You don’t need to rely on a ton of interactive gimmicks, but don’t just “fire and forget” your social content, engage with the users who engage with you. Get involved in the comments threads, answer questions, address concerns, let the community know that you’re not just talking, you’re listening, as well. 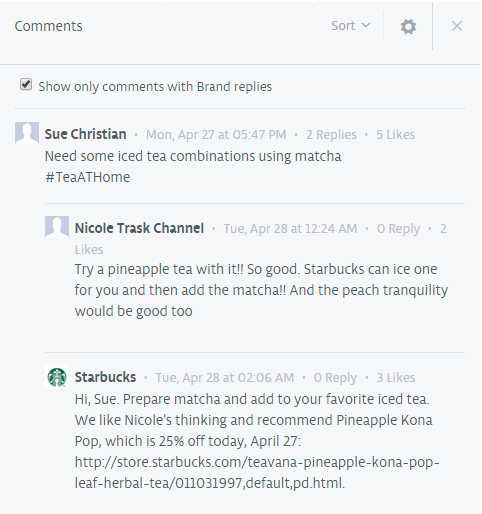 Unmetric allows users to monitor comments on each post and see the comments that the brand has replied to. 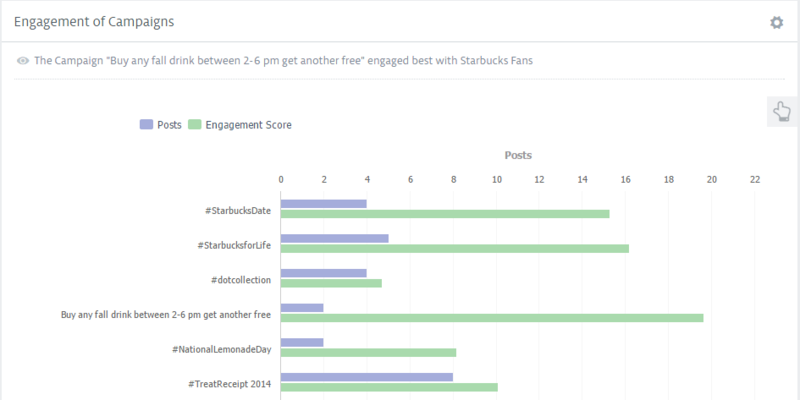 This feature helps monitor how your competition is managing their customers. Don’t just count likes and shares. Analyze your data in a meaningful way to ensure that you’re not just wasting effort or, worse, losing customers through your social media marketing campaign. Unmetric.com is a great tool to use whether you’re hoping to get started on the right foot, or you want to fine-tune your current marketing campaign. Unmetric will allow you to look at a number of factors, including analysis of competing brands social media efforts and user feedback, all while making developing and publishing content much easier. Unmetric’s campaign intelligence feature allows users to follow campaigns executed by any brand, hence allowing users of unmetric to analyze a brands campaign strategy. Ultimately, the data that you gather from analytics is just a bunch of numbers. It’s not magic, you have to read the data and put it to use. Which posts do people like? Which ones are actually bringing customers into the store? Which posts do people tend to ignore? Keep your end goal in mind (typically that end goal is: greater sales, and greater customer retention), and keep an eye on what sort of content helps you reach that end goal. Bizarrely, surveys have shown that while the vast majority of companies, big and small, collect analytical data on their marketing and on their customers, only around half use the data they collect to direct their marketing or their products. This is a bit like buying a road map to New York and then choosing a completely randomized route to get there, and wondering how you wound up in Canada. If you’re not going to use the data, don’t bother collecting it. It does no good on its own, it has to inform your marketing decisions before it’s of any use. You can learn a lot by borrowing ideas from competitors. But, if you copy them outright, you’ll only ever be second best. There is some risk in developing your own brand identity, you might create a social media persona that alienates some users. That’s okay, though. Think of your favorite movies, your favorite food, your favorite song. Chances are, they’re “not for everyone,” right? You don’t inspire passion in consumer A without creating disinterest or even disdain in consumer B. Recognizing who your core users are, who really keeps your lights on, and catering to them, even at the risk of alienating more casual users, is generally an effective method for inspiring loyalty and creating repeat business. Simply put: social media offers an easy way to have a dialogue with your prospects, and analytics offer an easy way to find them and to ensure that you’re both being heard.